We’re finally warming up in Kansas City! Time to get ready for summer fun. Festivals, concerts and art fairs- or just hanging out! Throw on this cross body and you’re ready for whatever’s going on! Let’s get Fresh for Spring and Summer! This Dutch cloth cotton scarf will take you through Spring right into Summer. Will look Fresh with jeans, summer dresses or shorts and tees. Ready for purchase at Square Market. Here at Arm Candy, we’re excited about March! March means Spring is on it’s way! This beautiful Dutch cotton infinity scarf is perfect to usher in Spring! ﻿It’s ready for purchase on the Square Market. It’s been a long time since we’ve done a sneak peak! We’re so excited to get these going again for you! 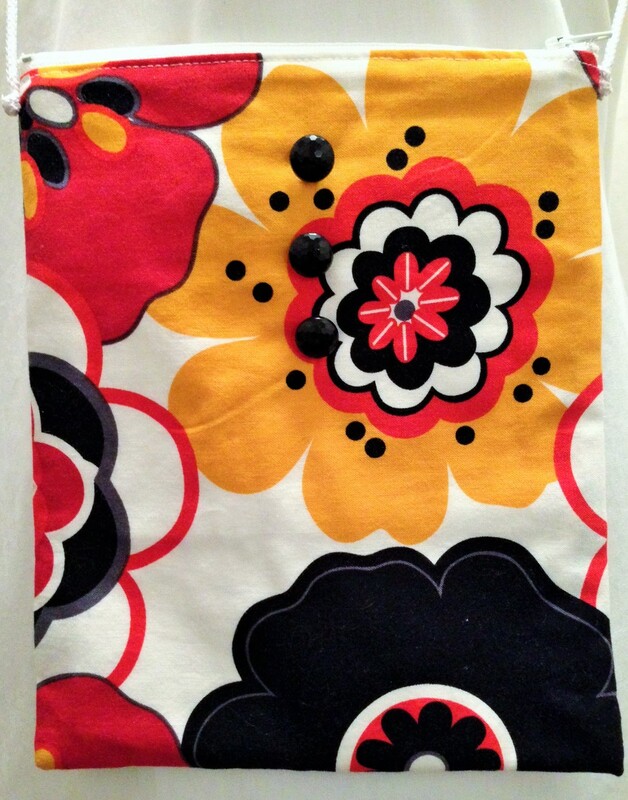 This week’s sneak peak bag is made from vintage fabric and a black cotton twill. A great, durable carry-all for work, school, or kids! We are still working on our website Shop update that will switch all selling to the Square Market, so in the mean time, cut out the middle man and head right over to our Square Market site to check out and purchase all new product!! Hey Arm Candies!! It’s been a while! A huge thanks to all of you for making us busy bees here at Arm Candy! We’re bursting with ideas for fall and have some newness to share with you today! But first, our news! We are working to combine our WordPress and Square Market shops to create one destination for all your online shopping needs and this post includes the first draft! We have found that purchasing goods via the Square Market is so much easier and seamless than our original Paypal destination. All of our Square Market items can be found by clicking the link, and soon, we will only show photos of our products on our website, with links to the Square page for purchase! If you are a festival goer, or small business supporter, chances are you’ve used the Square reader to pay for your purchases using a credit card, now you can use the same company online! Summer has finally arrived and we are thrilled because that means festival season is upon us. Welcome to fun-in-the-sun days and hot summer nights filled with concerts and art fairs with family and friends. A must have for a summer outdoors is a small, fashionable cross body bag that can carry your essentials and leave your hands free to hold walking tacos and shopping bags. This new Flower Child Cross Body is the perfect accessory for your summer in the sun! 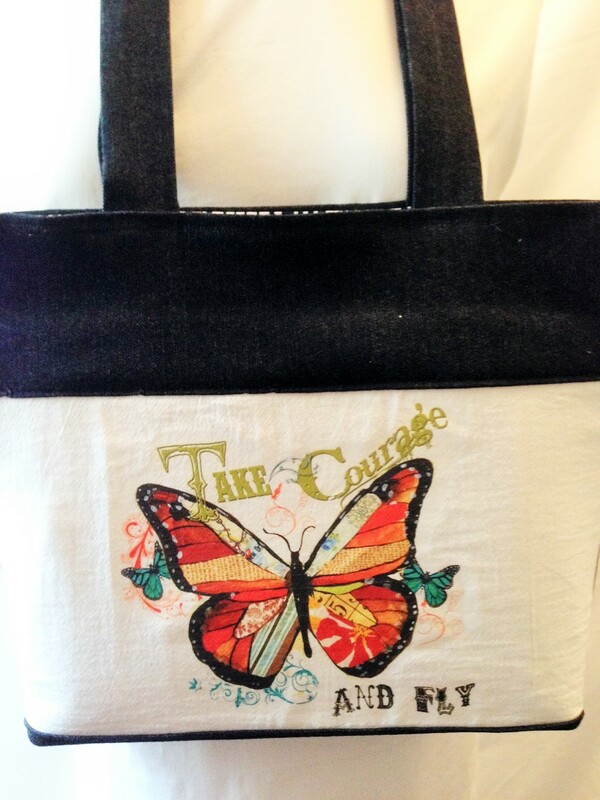 This little bag will be featured at Hickory Dickory this June 6-8 in the West Bottoms of Kansas City, but if you find you need it before then, please feel free to email us at armcandykc@gmail.com or message us on Facebook at http://www.facebook.com/armcandykc ! Like we’ve been saying lately, we’ve been busy bees. So, here are two more summer must haves for your accessory wardrobe! 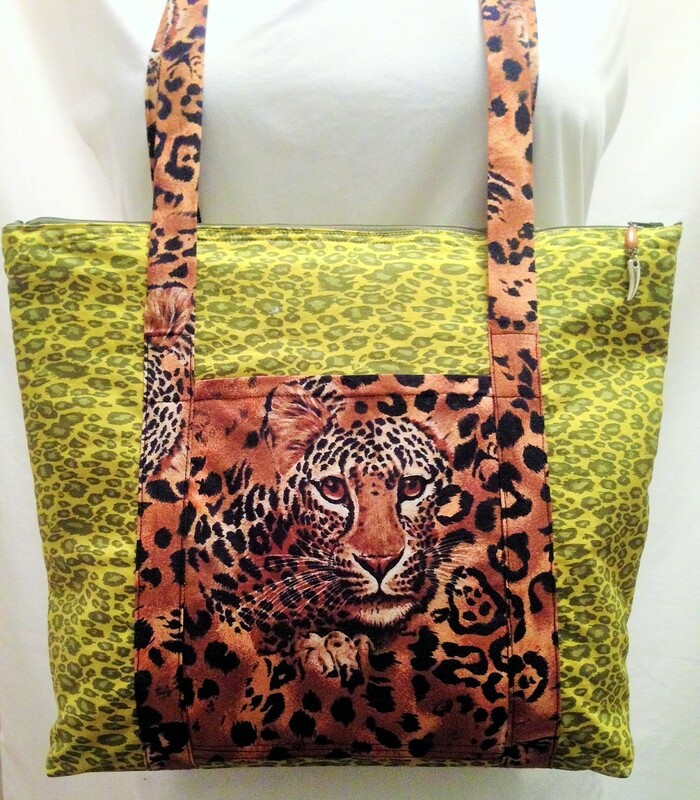 First up, the PERFECT animal print for summer. This tote is perfect to carry all your must-haves for summer from sunscreen to a spare beach hat, because…you’re just that fabulous. $50 USD On the Shop page! EVERYBODY needs a good summer scarf to stay stylish through those hot summer nights. Made from 100% cotton this periwinkle, ivory and marigold striped infinity is perfect to add a little touch of chic to your summer. 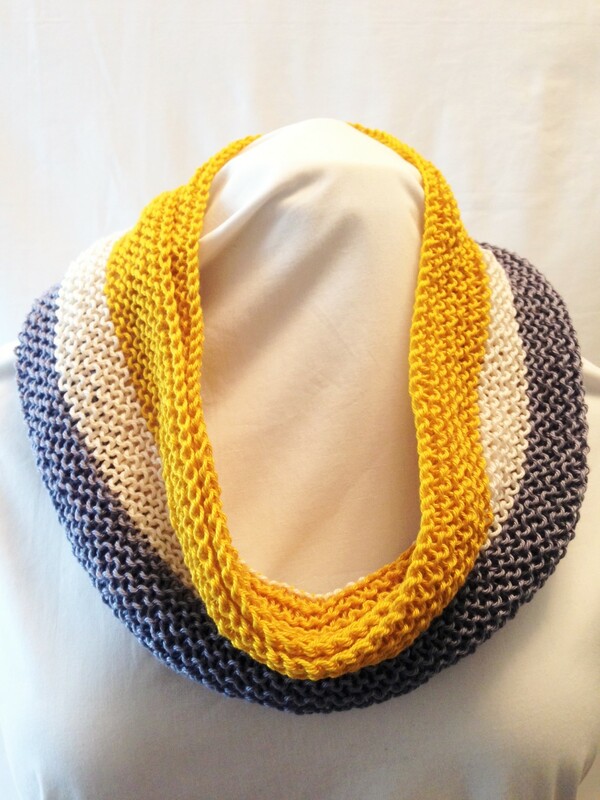 It’s loose around the neck so it won’t heat you up, and the cotton breathes beautifully! $48 USD and now on the Square Market! We’ve got so much to share today. Head on over to the Square page to check out 3 new items for sale, share our latest post with your friends to help us reach 200 likes (we’re having a sale when we do! ), but first, check out what we found while poking around a vintage sale below!!!! We can’t wait to re-purpose this gem! Visit our “200 LIKES” post here!! Visit the Square Market (and three new fabulous pieces) here!! Have an awesome Tuesday, and we’ll see you next time! 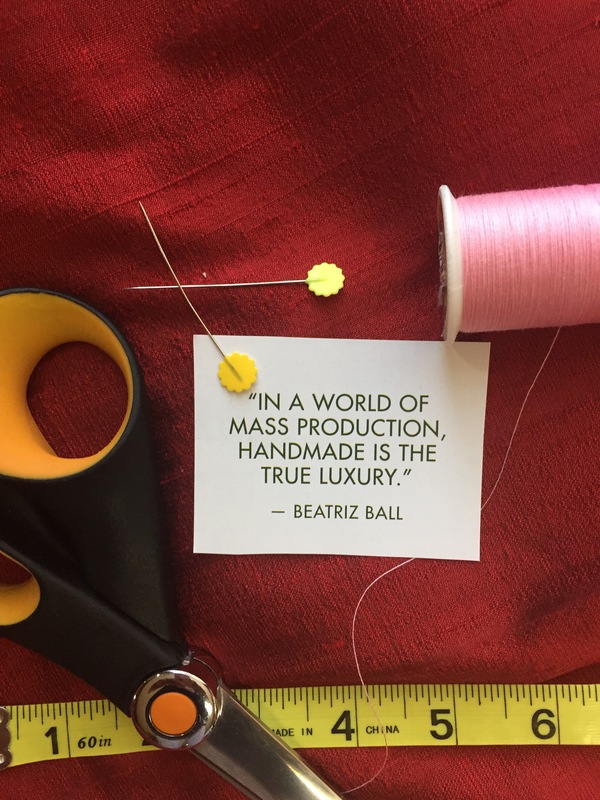 At Arm Candy we strive to not only make one of a kind products for you to enjoy and love, we also do our best to get our fabrics, yarns and fasteners from local sources. 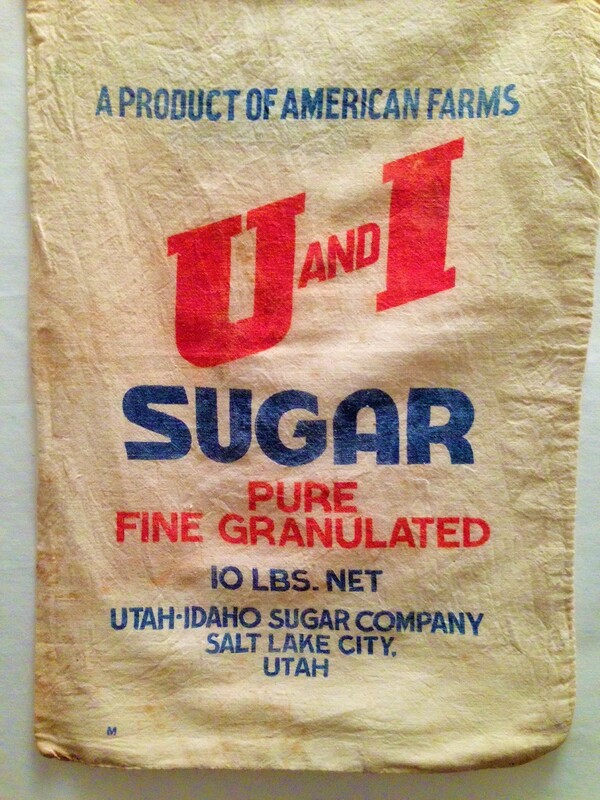 This Tuesday we are featuring a bag re-loved from a vintage feed sack of a company established in 1914, today headquartered in Columbia, MO. 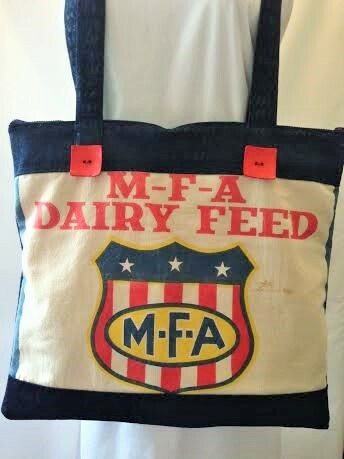 We’ve re-purposed this feed sack into an awesome, reinforced carry-all tote that you can use everyday! We will have this item featured for sale at this weekend’s Hickory Dickory market! See you there!